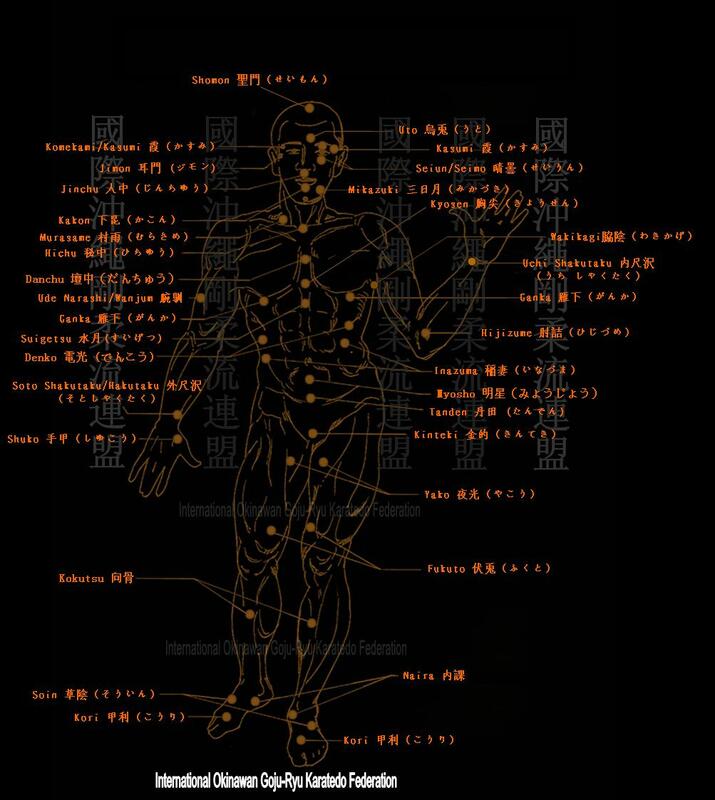 Atemi (当て身) points, also known as Kyusho are points or parts of the human body which are vulnerable to attack. When a person is struck on an atemi point with sufficient force using the appropriate technique, the blow might temporarily incapacitate the person or seriously injure him., depending on the circumstances. 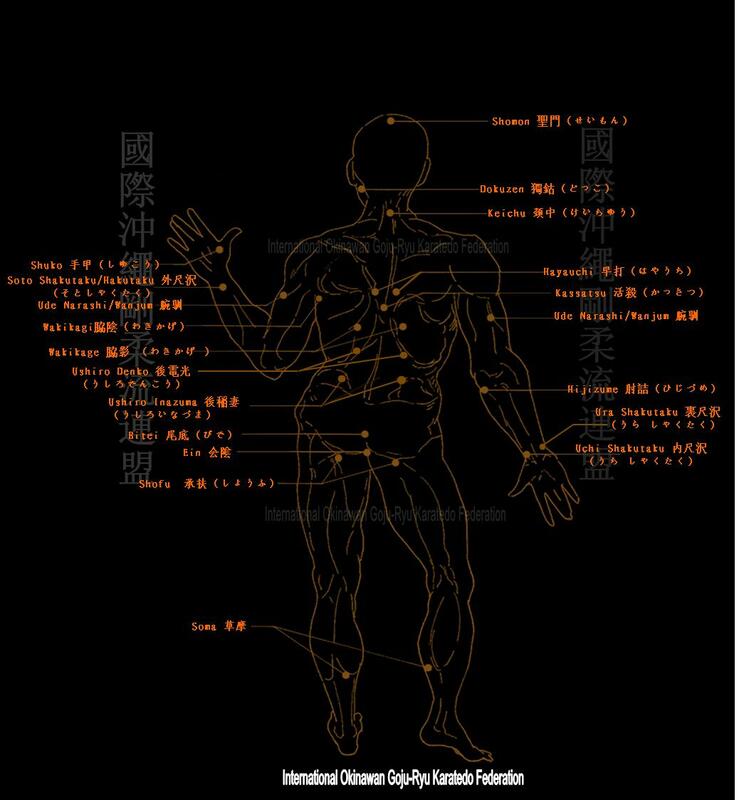 Atemi points include nerve and pressure points, or the weaker parts of a person’s skeletal structure, etc. An understanding of Atemi-Waza (Atemi techniques) helps to increase the effectiveness of one’s karate techniques, therefore it is an important part of IOGKF’s syllabus.